Vehicle tracking is something that is becoming more commonly used as time goes on. Many us have probably received deliveries from companies who track their vehicles as the drivers go about their daily work. However, when you are considering whether or not to use vehicle tracking for your business, it makes sense to find out more about it. So how does vehicle tracking work? That is the purpose of this article. 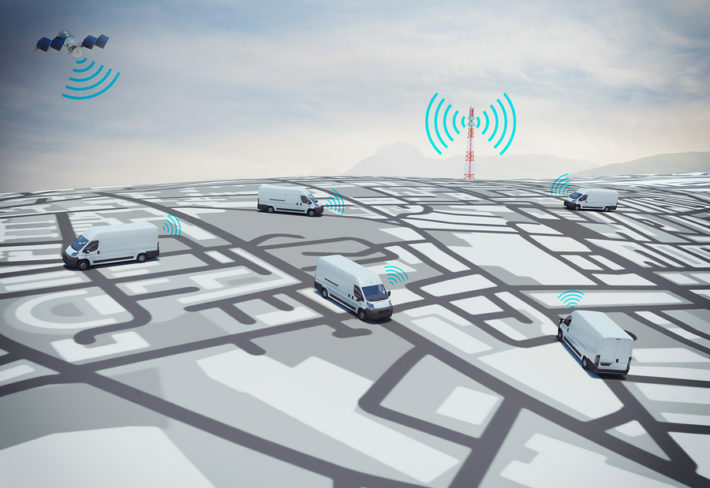 We’re going to discover more about vehicle tracking and how it works, as well as the advantages it can offer your business. There are just two types of vehicle tracking system to choose from. The first is an active tracking system and the second is a passive tracking system. As you might guess from the descriptions, the active system offers far more information, as we are about to see. Both systems use much the same technology, but with a crucial difference. Both use a GPS receiver inside the vehicle. They also make use of satellites to monitor where the vehicle is at any one time, not to mention collecting a range of other data. The active system works by regularly transmitting that data to a remote user (i.e. someone back in the office). As such the remote user can always see where a particular vehicle in their fleet happens to be. The passive system works by collecting all the data the active system would collect. However, the crucial difference is that the data is not immediately transmitted to the remote user. Instead, the tracking device inside the vehicle will collect and store the data. Once the vehicle returns to base, the data can be downloaded and analysed. Sometimes a system may include elements of both methods. For example an active system will transmit data all the time there is a connection to the satellite. When this isn’t possible (perhaps the vehicle is in a remote location for example) it will store the data so it can be removed and checked later on. However even in this case, if the signal were to improve as the vehicle is moving, the data will automatically transfer to the remote user as soon as it is able to do so. Additionally, different systems will provide access to the data in different ways. If good mobility is important to you, you should consider getting a system that allows you to log into your data online. This means you are not tied to any single computer in order to access the information you need. You can just as easily look at the data at home using your home internet connection as you can at work. This is the most advanced form of vehicle tracking there is. Some businesses will clearly benefit far more from this than they would from the passive version. For example, parcel delivery services will be able to use the data collected from active vehicle tracking technology to provide their customers with real-time updates on where their parcel is. The active tracking service is also very useful in terms of keeping customers happy in other ways and situations. For example a taxi company can use it to see where the nearest cab is so they can provide an estimated time of arrival for the customer. It doesn’t just have benefits for the customer either. It also has significant benefits for the business owner. It allows them to see at a glance where their drivers are at any one time. If a particular driver isn’t where they should be, or is parked for a long amount of time when they should be working, this can instantly be seen as the data is received. It then becomes easier to tell when drivers are doing their work and when they are not. Of course, it can also provide a good safety mechanism if a vehicle is stationary for a period of time and the remote user cannot get hold of the driver. If something has happened, it will be easier and quicker to realise this and do something about it. Passive vehicle tracking is cheaper than active tracking purely because you haven’t got the real-time transfer of information going on. Not all businesses will require this. However it is still able to provide a complete picture of which vehicles were where at any one time. As such it is a good way to assess whether company vehicles are being used in the best manner. For example, your business may currently have six vehicles on the road delivering parcels to the local area. By assessing the data that comes back to you at the end of each day, you may realise you could actually get all the same work done with just five vehicles. Conversely you may discover you are approaching saturation point in delivering the required number of parcels with just six vehicles. As such you can use the data to anticipate any likely changes that may have to be made in your business. Obviously it makes sense to consider the advantages vehicle tracking may have to offer in your business. If you are thinking about having vehicle tracking installed you should consider whether active or passive tracking will be right for you. By assessing the differences between the two systems you can more easily work out whether one would be better than the other. In both cases though, the sheer weight of data that is available by using the system is hard to deny. It enables you to manage your vehicles in a way you have never been able to do before. Once you see how efficiently vehicle tracking works, you will see how much benefit you can gain from the data you will receive. 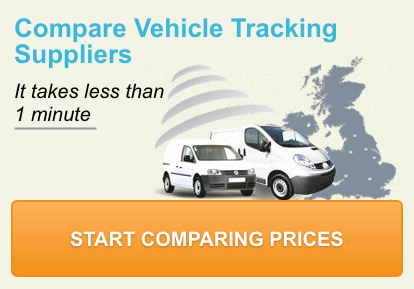 All you have to do is compare the companies that provide vehicle tracking in order to get the exact service you want at a reasonable price.